Just wanted to see how the structure would look once translated to cloth.Nope,it is not applique, as it would seem from the cut out, but something else... I'll share more about it once the idea evolves. omg all those million little stitches! in awe here! Hmmmm.... very interesting Deepa, can't wait to see what this turns out to be... wow, the size of a queen size bed!!!! Hugs. Wow, the finished product will probably be amazing! I am here to wish you best of luck with this project. will be waiting eagerly for the finished work. I had done similar work (of course not this big) for my nephew's blanket.Will show the photograph once i get it from my brother. really a crazy idea! anyway all the best! really a big and challenging idea... all the best... wish to see your finished work soon. Deepa...Good Luck with your new enterprise(such a large one) I know it will be out of this world when done.Choosing colors, stitches etc. It take a lot of courage and patience. My very best wishes on this work. I am curious, I will follow with interest. On a lazy afternoon when i din't have much work to do in office, i googled for my favorite poem Nakshi Kanthar Math. 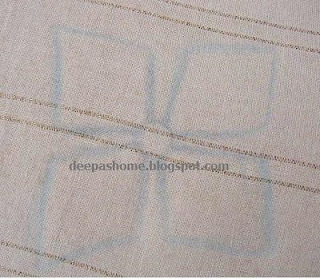 As you have done a post on nakshi kantha embroidery, your blog showed up in the searched list. and would you believe if i say i went through each post of yours. every single of them...from 1st to last. because i am always facinated towards the magic created by threads and needles. My mother is great at these- a talent she inherited from my grandmother. i never devoted time to it else i am sure i would have been good at them too. few days back only i was thinking of doing some cross-stich stuffs and in beetween finding out your blog was nothing less than a miracle. i guess it's God's way to tell me to start doing stuffs i like to do. i even thought of writting you a mail which i didn't 'coz of shortage of time. I guess it explains why i followed your blog. :) i dont follow blogs randomly even when people come and follow mine until and unless i don't find something to be followed in them without even expecting them to follow mine. Do i need to say i appreciate you and your blog. :) You appreciate creativity and that makes everything beautiful here in this blog. :) and i would always come back to it. all the best! like all your creations I am sure this too would be a stunner and an inspiration. Good luck for the new idea.Waiting to see the end result.